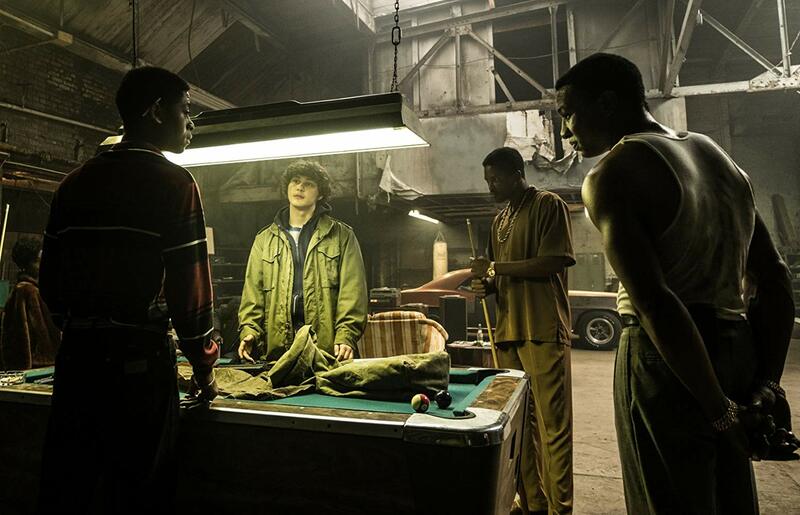 This tagline is painted across all of the promotional material for White Boy Rick, opening this weekend. With that tagline and an incredibly intriguing trailer scored brilliantly with Donna Summer’s electric jam “I Feel Love” throughout, it felt like Sony Pictures had something thrilling on the horizon. I mean, who doesn’t love a good real-life crime drama? White Boy Rick is a dramatized true story that follows Ricky Wershe Jr (played by newcomer, Richie Merritt) through his adolescent years in the 80s. The year is 1984 when the film begins and he’s a fourteen-year-old who’s no longer in school. 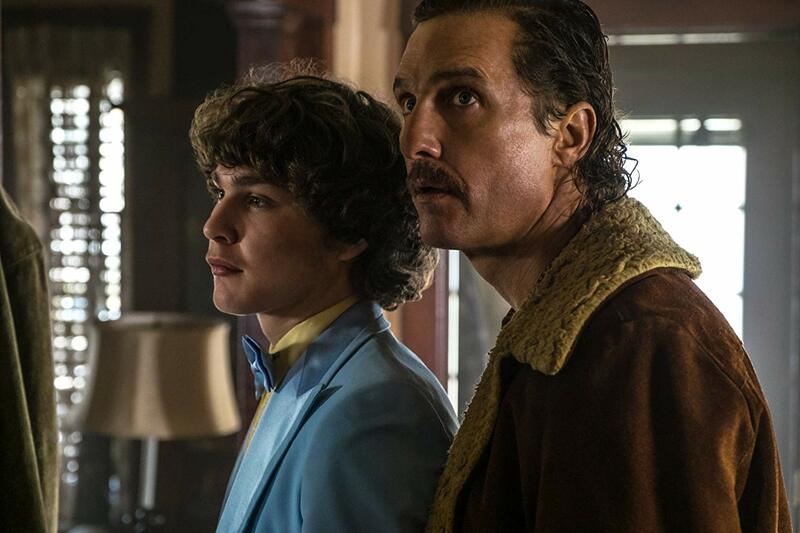 He’s part of a broken home in which he lives with his illegal gun-dealing father, Richard Wershe Sr. (Matthew McConaughey) and drugged-out sister Dawn (Bel Powley) in the outskirts of Detroit, Michigan. Richard Sr.’s gun business quickly puts him on the FBI’s radar, but unbeknownst to him, Ricky Jr begins working as an informant to the FBI agents (Jennifer Jason Leigh, Rory Cochrane) to protect him and keep him out of jail. While putting himself in that position did protect his father from incarceration, it became even more dangerous for Ricky Jr. as he began to find himself too deep in the underground world and began making plays for himself to better the lives of his father, his sister and himself. On paper, the story sounds immensely intriguing. Paired with the trailer described above, it even looked to be as such. In fact, as I typed that summary, I stopped for a minute to wonder where that movie had gone, because after having seen it, I found I had a lot of problems with it and left somewhat disappointed in the result. 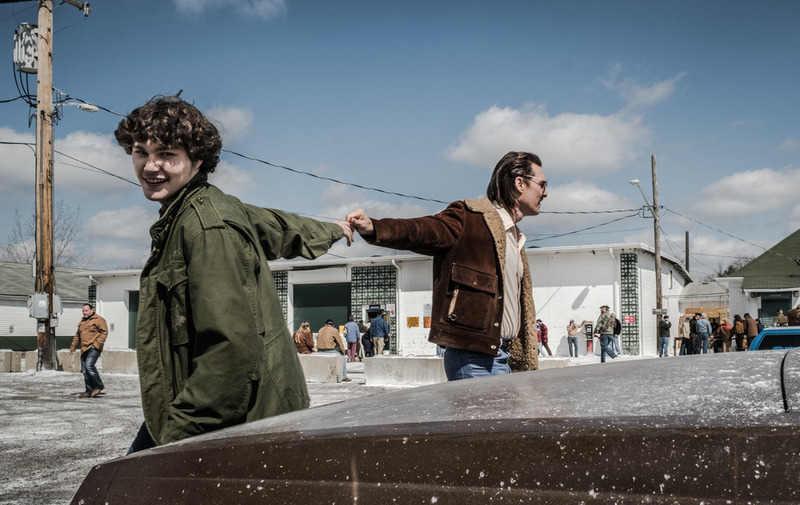 My biggest issues with White Boy Rick, I think, are its lack of characters in which to sympathize with and the somewhat jarring editing. Ricky Sr is trying to make ends meet by illegally selling guns, but at the same time pushing both of his kids (especially Dawn) away while doing so. As a result of trying to protect his father, Ricky Jr. gets wrapped up in a world he shouldn’t be in and later decides to illegally sell drugs on his own before things get entirely out of hand. But there’s no redeeming moment for either of them really. Sure, you’re supposed to sympathize with his situation and, of course, his unjust sentencing for non-violent crimes at the end of the film, but that’s about the only thing to feel bad about considering his multiple opportunities to get out of the drug world and his sudden ambitions to go back to school forgone. The movie is also broken up into four segments basically, each being a different year – 1984, 1985, 1986 and 1987. The time jumps are necessary to let the viewer in on changes in our characters’ lives, but I found a couple of the transitions kind of disrupting to the flow of the film. Not to mention that by its end, I felt it was trying to be something completely different. While the entirety of the movie is Ricky Jr.’s rise and fall, the ending theme is more in your face about the corruption and injustice in the state of Michigan when it came to sentencing those involved. That being said, it’s not as bad as I may have made it sound. The performances are actually pretty terrific. McConaughey is at his finest (with a fantastic mullet, at that) and carries every scene that he’s in. You’ll find a couple of heart-wrenching scenes in which McConaughey tugs at the viewer’s heartstrings as he demonstrates his absolute love for his kids, despite how much they’ve made his life difficult (again, Dawn especially). Speaking of the kids, both Powley and Merritt were both fascinating to watch as well. Even more impressive is Merritt in his first outing, who’s never acted before and happened to luck his way into the role by simply being late for school one day and running into a casting director. 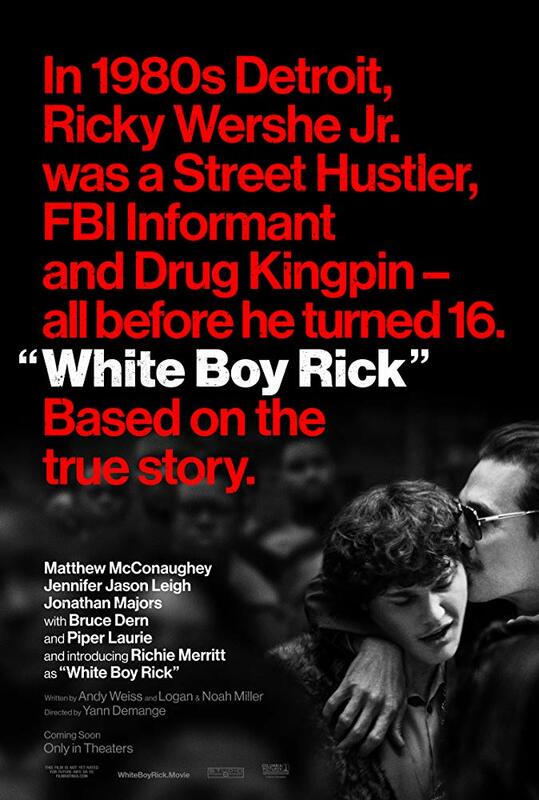 Unfortunately, White Boy Rick just never turned into the exciting rise and fall real-life crime story that I anticipated. It’s certainly worth a watch if you’re into crime films and carries good performances throughout. You’ll certainly walk away feeling the injustice of Ricky Jr’s sentencing at the film’s end, but I just don’t happen to feel like the film accomplishes much of anything else.